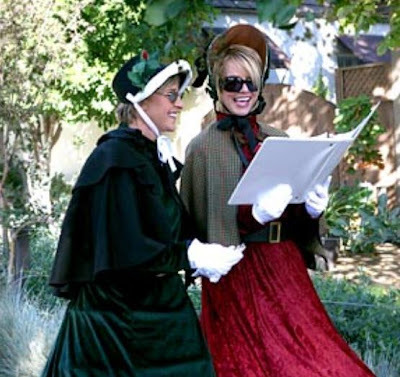 If you ever wanted to hear Britney Spears sing “live” your best bet was to be on the streets of LA whilst Britney and Ellen went Christmas caroling for a segment Ellen was taping that will air on December 16th. 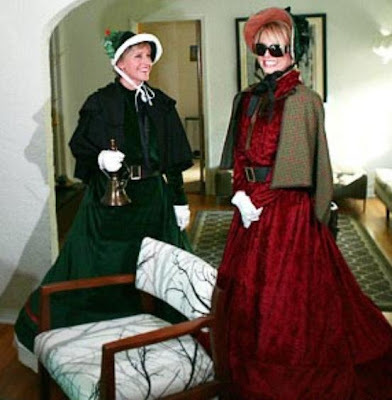 To tell you the truth, watching a lesbian and someone who’s bi-polar dressed like characters from A Christmas Carol while holding a bell, a notebook, and singing, kinda sounds like the best Christmas ever. Is it just me or if we saw Britney dressed like this last April you wouldn’t have thought twice about it.